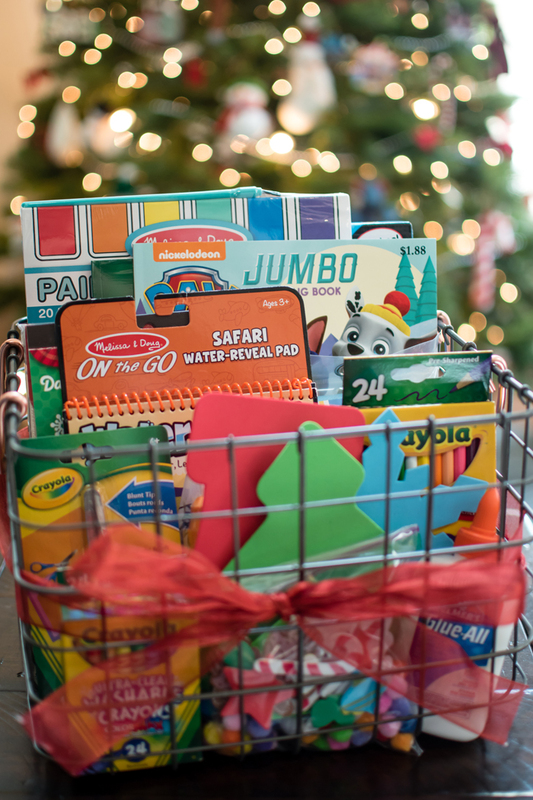 The Adventure Starts Here: Color, Craft, Creat | Gift Baskets Galore! 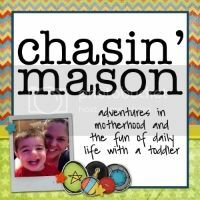 Today I'm participating in a Gift Basket Blog Hop! I'm a huge fan of themed gifts and putting everything in a basket just makes it that much prettier! 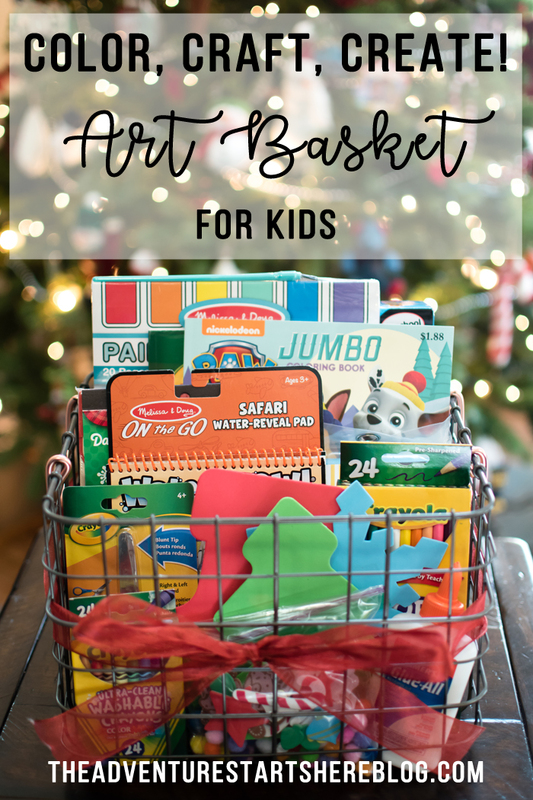 So after you check out one of my favorite gifts to give, head on over to the other blogs and get even more gift basket ideas! In our house, Santa leaves Noah's filled Christmas stocking in his room. It was a tradition from my dad's family that my parents continued on with my brothers and me. When we woke up, we were allowed to open our stockings until it was time to go downstairs and see what Santa left under the tree. I'm not sure why my paternal grandparents did it this way, but I know that my parents loved it for the same reason that we continue doing it this way with Noah. I like the idea of going downstairs as a family and waiting to open gifts. But with the excitement of Christmas, waiting can be hard on kids. 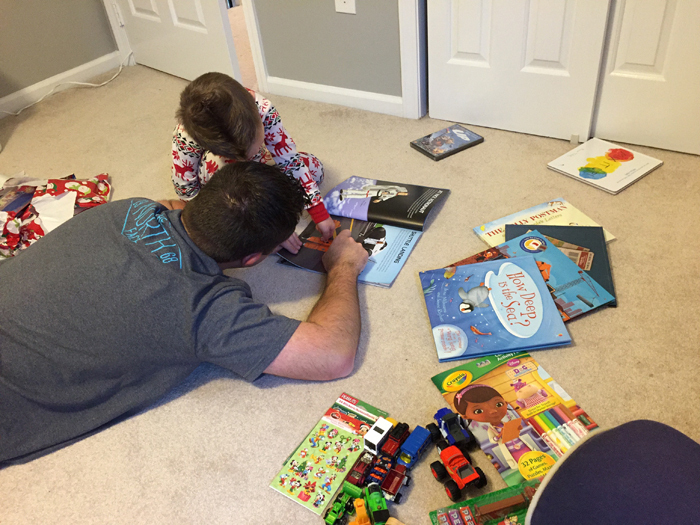 With the stocking in the room, it buys some time and keeps the little ones occupied. As a child, I got up super early and then preceded to wake up my brothers. By having the stockings to open, it gave my parents some time to either sleep in a little longer or take a shower and get dressed before rushing downstairs. 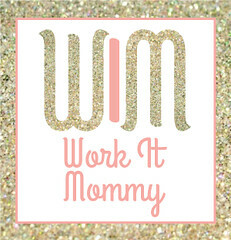 And while Noah isn't waking any earlier in anticipation just yet, I like that it gives me some time to brush my teeth (and take out my retainer), get dressed, and maybe even put some makeup on. But leaving the stocking in the bedroom isn't a quick fix, you have to smart with what you fill the stocking with in order to gain the most amount of time. Our strategy is to fill the stocking with books to read, coloring and activity books, and some stickers and a new box of crayons. Chris and I then take turns getting ready while the other one stays with Noah and uses some of his new activities. Noah got this Astronaut Sticker book last year and was obsessed with it. He almost didn't want to go downstairs to see what else Santa brought because he was having so much fun. You can bet he's getting another one just like that this year! Usborne in general has some really amazing books and are perfect gifts! Noah is a huge fan of crafts and anything remotely artsy. So this year, I'm taking it to the next level and making an art basket to give to him along with his regular stocking. It will be a mix of things he can do immediately in his room with a few more involved projects that we can do another day. This art basket is not only a great stocking companion, it would also be a great standalone gift for any young child. If you are giving it to a child that's not your own, I have two helpful guidelines. 1. Make sure that whatever you include in the basket is enough to complete a full craft. Nothing's worse than trying to make something and realizing you don't have glue, scissors, or crayons. While you may assume everyone has these supplies on hand, this gift should be self sufficient. And in my experience, it never hurts to have an extra pair of scissors or a new box of crayons! Noah loves these and the monster version! He would happily make all of them at once, but I usually like to spread out the fun and limit him to one a day. This would also be a great gift for a family with multiple siblings. They could each make an animal and then have a little puppet show! While we have our own supply of watercolors and tempura paints, when gifting to another child, it's not wise to assume that they will have the same supplies. I love these because there's a sheet of water color paints at the top of each paint. You just need some water and you can paint a page with the paint provided. Noah loves to color, but he especially loves when stickers are involved! They come in Trolls, PJ Masks, Avengers, Finding Dory, and Disney Princesses to name a few. Noah loves these. He will do them at home and we often bring a few on long car rides. Just fill the brush with water and go! Then head to Target and your local craft store for some affordable coloring books, crayons and colored pencils, stickers, glue, scissors, pom poms, and some foam shapes to decorate. My favorite part of an art basket is that you can spend as little or as much as you'd like on it. You can find coloring and activity books for as little as $1-$2. You can include a bag filled with pom poms, googly eyes, and pipe cleaners for really cheap. And I personally love the pads of stickers Michaels sells for 99 cents! 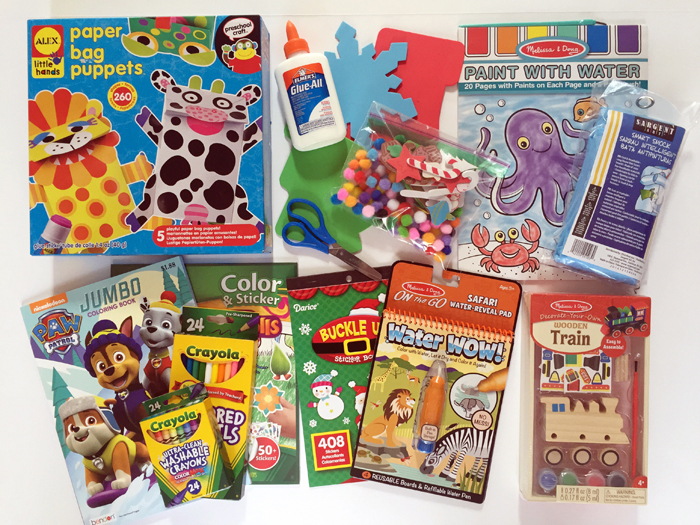 And if you want to spend a little more money, you can easily pick and choose a few of the $5-$10 craft sets that any child would love to have! So grab a basket, fill it up, and if you want you can even throw a bow on it. But trust me, once a child sees all the cool stuff in there, they won't care less if there's a bow on it or not! 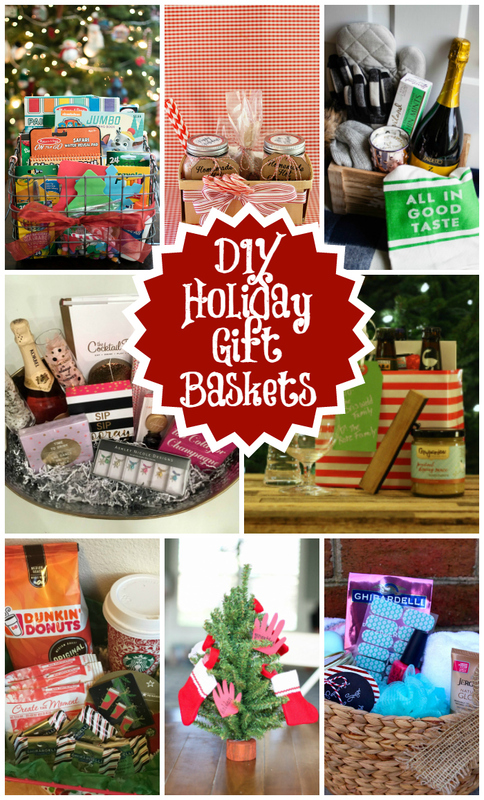 And check out these other amazing gift baskets! I can think of someone on my gift list for each and every one of these baskets! What a fun idea! And leaving the stockings in their bedrooms - genius! This is a genius little basket! I wish I had all these items on the plane with me for the kids - would have totally entertained them. I love this!! Such a fun idea. Craft supplies make me so happy and having them available for little hands to get creative makes it even better. I adore your basket! Those Melissa and Doug paint with water books are awesome! 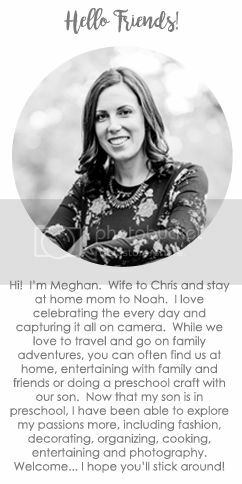 And you and Chris are such a great tag-team couple, Noah is a lucky little dude. Love love love this basket!! This would be such a fun birthday or Christmas gift for my nieces and nephews. As a mom, I would appreciate my kids receiving something like that. I love the gift of creativity! You truly are the crafting queen! This basket makes my heart giddy. I love supplies of any kind! Especially now that Mason is in school I try to keep our craft closet stocked. Never know when he’ll bring home a random project that needs to be completed! All that to say this is a wonderful basket anyone would love. I love this basket and need the exact one to add to Connor's play area we are putting together after the holiday.